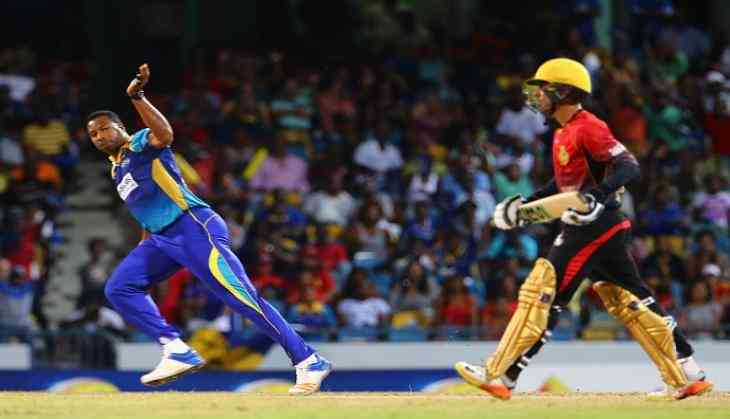 In the history of cricket, West Indies all-rounder Kieron Pollard has landed himself at the center of a huge controversy after he deliberately bowled a no-ball to deny opposition batsman Evin Lewis his century during a match of Caribbean Premier League match. It all started when Trinidadian cricketer Lewis was batting on 97 off 32 balls with captain Chris Gayle for company and the score at 129/0. “It hurts (missing out on the ton), but hitting 97 not out off 33 balls? I'll take that any day,” Lewis said in the post-match press conference. If Lewis had completed his century in 33 balls, then he would have become the second player to complete fastest in cricket history. While what #KieronPollard did last night is disgusting at all levels. What is shameful is that Evin Lewis is young and a fellow #trini! @KieronPollard55 "Always doing my best and up for the challenge"
Maybe change your motto mate! Disgraceful sportsmanship!